Of all the countries in the world, it is recorded that Canada and Australia accept the highest immigrants annually. People migrate to Canada from different countries all around the world and a large percentage of these immigrants are willing to obtain permanent residency or citizenship in Canada. In fact, it is recorded that more than 200,000 people enter Canada yearly as permanent residents. The reasons why people migrate to Canada and seek permanent residence are not implausible. For permanent residents in Canada, the country provides almost all the benefits a citizen enjoys including a free healthcare system( although this is catered for through tax paid by the citizens), adequate facilities for the disabled and elderly, free public education , low crime rates and a very high standard of living among others. The immigration process to Canada through different avenues including permanent residence all call for different requirements and eligibility. To become a permanent resident in Canada is not in any way an undemanding task; it is time consuming and requires perseverance. You must first determine your eligibility to apply for permanent residence in Canada, meet up certain prerequisites and have all the requirements. Methods of Applying for Permanent Residence in Canada. In order to obtain permanent residency in Canada, applicants must complete an application process and obtain a Permanent Resident Card which was formerly called the Landed Immigrant Form. This document gives a holder the right to many of the benefits Canadian citizens also enjoy. Proof of dedication to nurturing the child and protecting his or her best interest at all times. Family Class Immigration: a person can also obtain permanent residence in Canada through family members who are already permanent residents in Canada. Family class immigration is the process by which a close family member who is already a permanent resident in Canada sponsors another family member immigrating to Canada for a period of three to ten years. It is recorded that about thirty (30) percent of all immigrants that obtain permanent residence in Canada are paid for or supported by their family members who also provide assistance for them in straightening out and settling in the country. The individual or prospective nominee must apply to the province or territory he /she intends to be nominated and reside in. The second stage is to apply for permanent residence with the Immigration Refugee Citizenship Canada after being successfully nominated by the government of the desired province or territory. The list of provinces or territories through which an individual can be nominated to apply for permanent residence through the Provincial Nominees Class include Alberta, Manitoba, British Columbia, Northwest Territories and Saskatchewan among others. It is important to note that the fact that you have been nominated does not guarantee that you will be given permanent residence in Canada. The application process will still be required to pass through the IRCC who reserves the right to make the final decision as to granting permanent residence to applicants. All of these are scored and rated on the scale of 100. An applicant is expected to score at least 67 out of 100 in order to be considered for permanent residence through the skilled workers class immigration in Canada. Crime: the Immigration Refugees and Citizenship Canada (IRCC) will put into consideration the applicant’s criminal history if applicable. 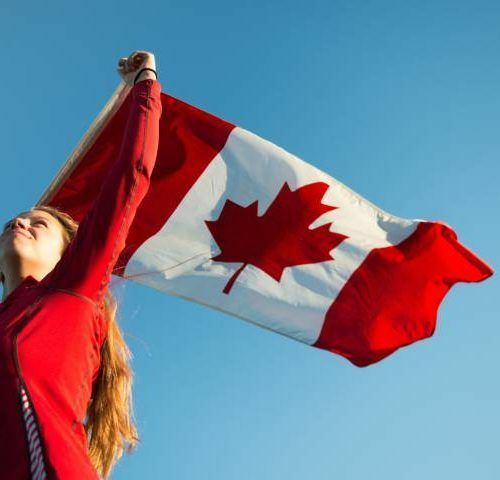 Canadian labour market: The state of the Canadian labour market may also have an influence on whether an applicant using the skilled workers class immigration for permanent residence in Canada will be considered or not. -Entrepreneurs: are also required to have experience in owning and managing business or shares of a business as well as possess a net worth of at least 300,000 Canadian dollars. Entrepreneurs are required to run a business within the Canadian economy and generate at least one full time job within three years of obtaining their permanent residence in Canada. -Self-employed persons: are required to demonstrate their experience in running and taking ownership of a business. Self employed persons applying for permanent residence in Canada should be ready to establish a business in the country with a significant contribution to economic, cultural activities and/or athletics in Canada. – After you have been approved by Quebec, apply to the Immigration, Refugees and Citizenship Canada (IRCC) to become a permanent resident of Canada. – Evidence of sufficient funds to support the applicant during the settling down period in Canada such as bank statements or balances. – Results of skills assessment tests to show you are eligible for required skills. This may be necessary for those applying through the Skilled Worker Class Immigration or through Quebec. Ensure that you have no criminal record or have not been engaged in fraud or violation of other people’s human rights. Applicants found to be involved in an ongoing criminal case is most likely to be rejected a visa by the Citizen and Immigration Canada. It is advisable to avoid applying for a Canadian permanent residence visa until an applicant is clear of all criminal investigations as the Canadian Government will thoroughly investigate all information provided and this will eventually be discovered even if such person has tried to cover up the information. Make sure that the permanent residence visa application form is downloaded from the right website. Make sure to submit your permanent resident visa application at the appropriate visa application centre or embassy. Pay the application fee and obtain your evidence of payment. Ensure you make copies of this evidence for future reference. Attend interviews as scheduled with immigration representatives. Be sure to maintain confidence and appear as neat as possible. Also avoid using language or behaviour that may pose you as a threat to the Canada.